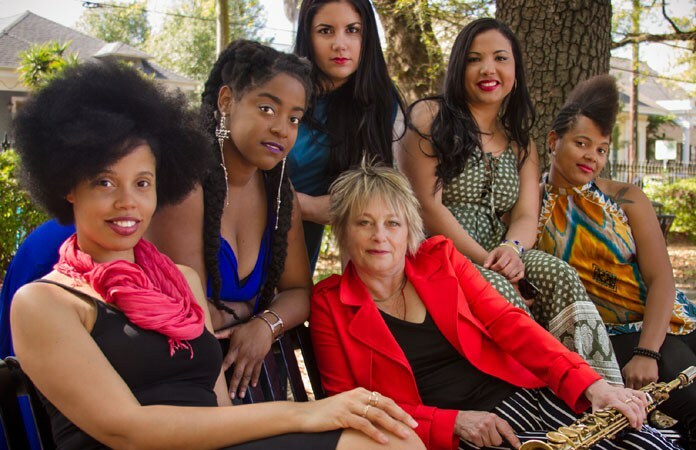 Jane Bunnett once again brings the soul of Cuba to the hearts of Canadian music lovers with current and former Maqueque band members, including vocalist Daymé Arocena. This multiple Juno Award winner has turned her bands and recordings into showcases for the finest musical talent from Canada, the US, and Cuba. Bunnett has been nominated for Grammy Awards (including the Best Latin Jazz Album in 2018 for Oddara, recorded with Maqueque) and numerous Juno Awards. She received the Order of Canada, The Queens Diamond Jubilee medal, and, most recently, Ontario’s Premier’s Award for Excellence. Her exploration of Afro-Cuban melodies expresses the universality of music, and her ability to showcase the rhythms and culture of Cuba has been groundbreaking. CD in the days following tthis night’s concert. As an educator, spokesperson, and social activist, Bunnett remains unafraid to explore uncharted territory in her quest for excellence.